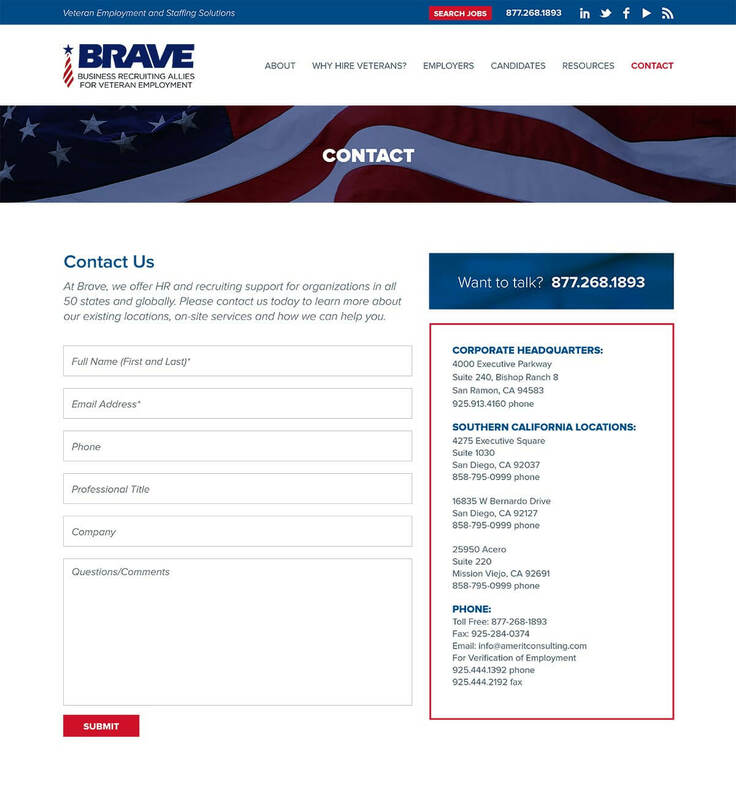 BRAVE is a staffing agency that focuses on recruiting military veterans. 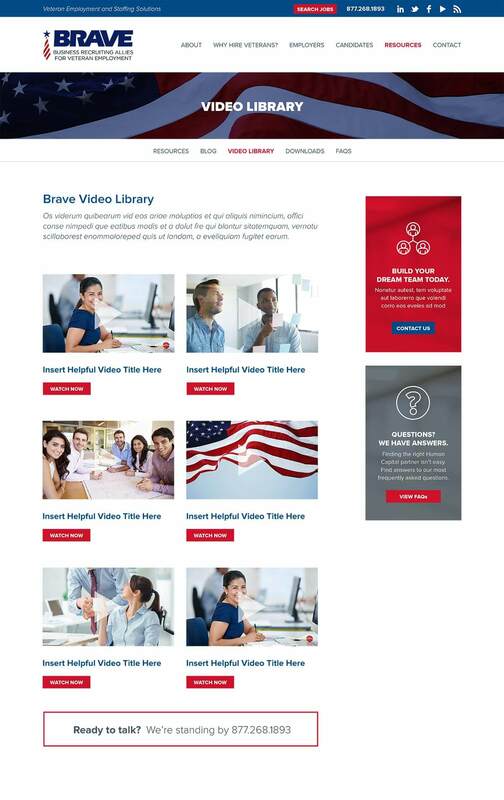 BRAVE needed a website that served both B2C and B2B marketing priorities–the website design needed to both recruit candidates and build credibility with hiring companies. 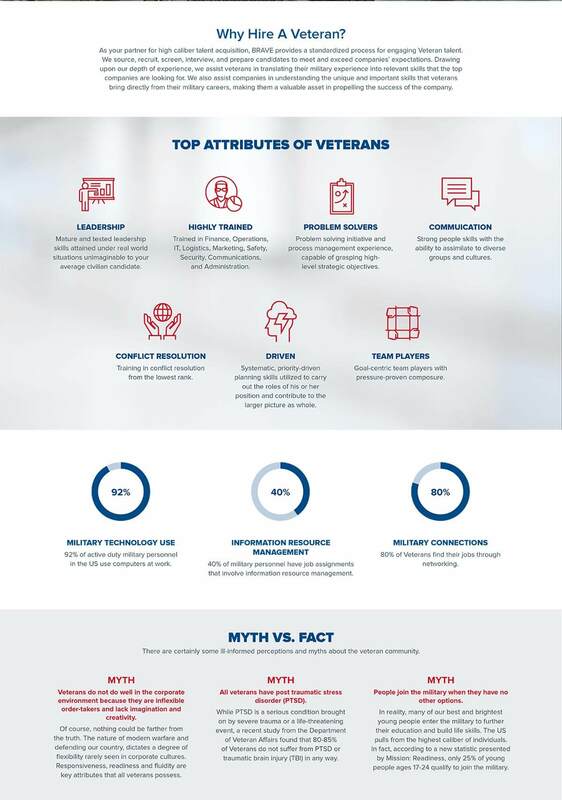 Bop was hired as the marketing agency to create a web design that serves as a “living, breathing” resource center for both employers/clients and candidates, channeling them to the appropriate area of the website in a timely, intuitive manner.